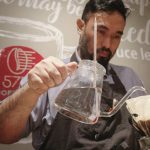 Initially, I planned to visually present the backstories of mainly two people: Irfan of Helmen Coffee in Denpasar and Gung Bagus of Infinity Coffee in Sanur. 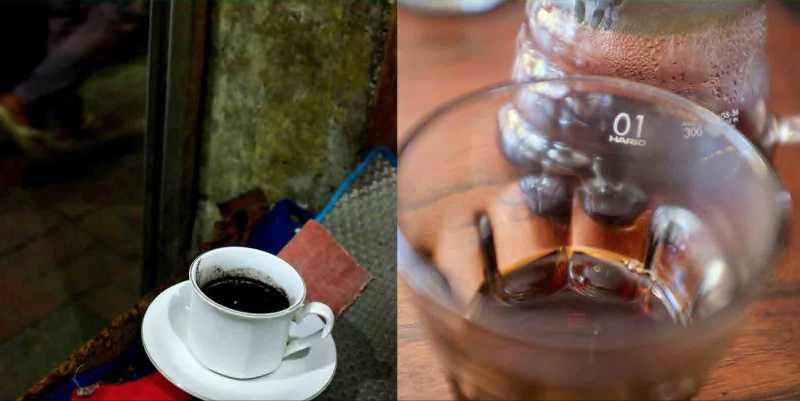 But, something inside me about Bali’s coffee culture has been tugging at me since the day I arrived. 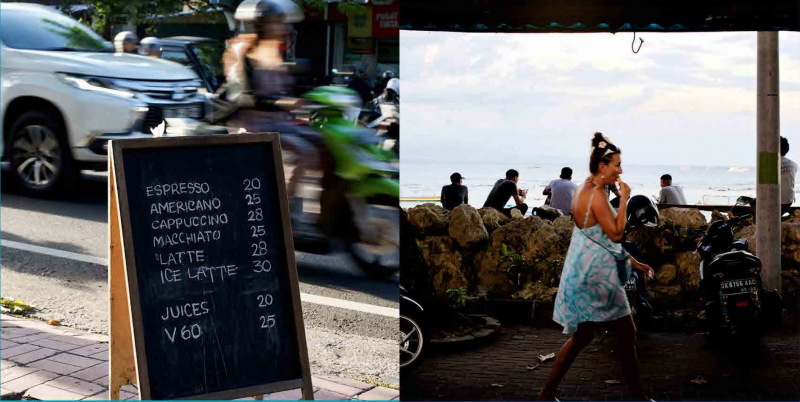 What’s calling to me is Bali’s oxymoronic relationship with coffee. This puzzling relationship, really centres around one question: “Why doesn’t Bali (like the rest of Indonesia) proportionally recognise Indonesia’s dominance in the coffee world?” It’s this yin and yang(or irony) that I’m gravitating towards and now wish to present in my essay. Eloquently enough, Bali has Rwa Bhineda-Bali’s yin and yang philosophy. Rwa Bhineda compiles everything together rather nicely. I hope you agree. According to Sangtu (Sang Ketut of Bali Silent Retreat), Rwa Bhineda is akin to the dualism of Indian philosophy or to the Ta o of Chinese philosophy. Rwa Bhineda is the Balinese philosophy for the harmony of opposites. 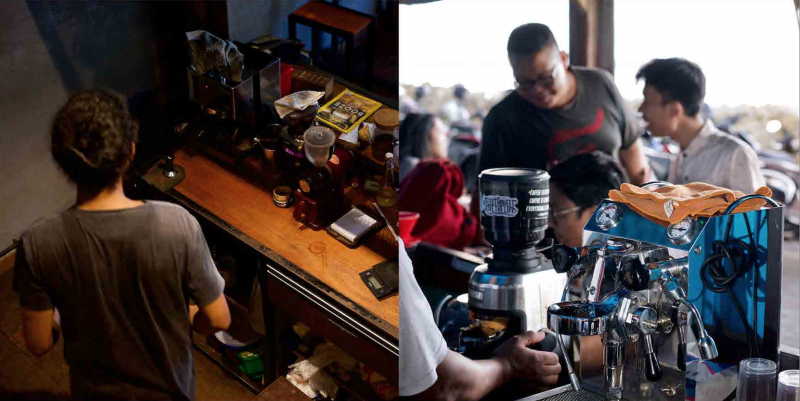 In this essay, two trending coffee scenes are presented as contrasting perspectives. As in true Rwa Bhinedafashion, neither scene is good or bad, and each one needs to coexist to bring balance and order. 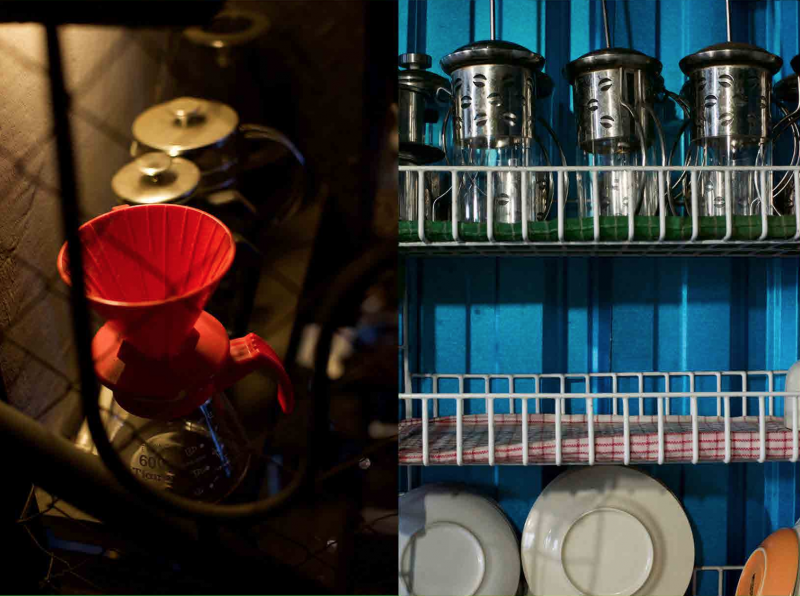 On one side of the duality spectrum is the modern and creatively inclined, Helmen Coffee in the capital city Denpasar. On the other side is the surprisingly refreshing beach anti-stereotype, Infinity Coffee in the seaside resort town of Sanur. I’ve paired each image with its opposite. This pairing adheres to the Rwa Bhineda theme. I think the diptychs are a compelling format for the spirit (taksu/jiwa) of this essay. 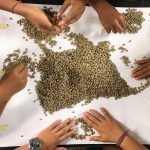 Bali’s campur | Indonesia’s diverse cultures come together and blend in Bali; Irfan originally from East Java and Gung Bagus originally from Bali. MARK L CHAVES is a photographer, writer, and digital media consultant based in Bali, Indonesia. Before morphing into a freelancer, he slung code and managed web teams for Fortune 500 companies. Mark’s favourite meditations are a good book with a cappuccino, feeding stray cats and dogs, and wishing to be a rock star in his next life.